Renovating or remodelling your kitchen always starts off great. Lusting over your ideal design, dreaming up outlandish ideas, drooling over home makeover magazines; if only the rest of the process were just as agreeable. 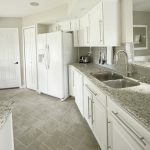 When making any change to your home, there’s certain stresses and complications that never fail to arise, for example, trouble finding what you want, problems with contractors, and quotes that blow your whole budget. If only there were a tried and tested set of guidelines to follow up until the completion of your newly renovated home. Well, today it’s much easier than ever before to find out information from the experts and even the experiences of others, meaning you never have to go into a renovation totally blind. Design websites and forums are great places to learn about everything from finding and working with contractors to creating your own individual look and making sure you get the best quotes. In this article we want to take the stress out of a major part of your kitchen renovation: the worktop. 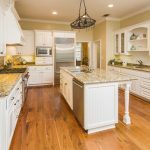 So sit back and learn from the experts about the five stages, spanning selection to installation, and before you know it you’ll be enjoying your beautiful new kitchen. With so many options of material, colours, and patterns to choose from, the selection stage is no doubt the most important and challenging of the process. 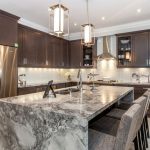 For many designers and homeowners granite and quartz are the materials of choice as they present the greatest mix of durability and strength, while also offering a high degree of customisation. As the focal point of any kitchen, a beautiful worktop can fall down if it’s not dressed appropriately. 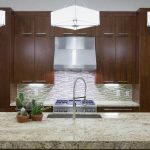 Upstands, backsplashes, and edging profiles that compliment the surface are particularly vital in creating your desired effect. Once you’re happy with the design of the worktop, the next step is to provide the specifications for a template to be drawn up. Here you need to gather the exact measurements of any cut outs for hobs, sinks, and taps, along any extra details you feel should be mentioned. This is the part of the process where all the information and your design choices are reviewed to ensure they meet your requirements. Should you need any changes at this point, it generally isn’t a problem as redesigns are expected following the initial quote. Once approval is made, the final product is designed and manufactured to your exact specifications. Now, the moment you’ve been waiting for: the installation of your brand new worktop. 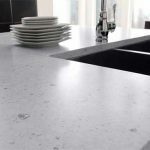 Depending on your supplier, this will be included or offered in addition to the manufacture and delivery of the worktop. 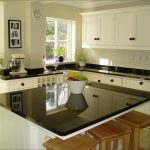 When choosing a company for your worktop, we recommend opting for a full-service solution – from design to installation – as if any problems arise during the process, the supplier will be on hand to help you manage and resolve them. 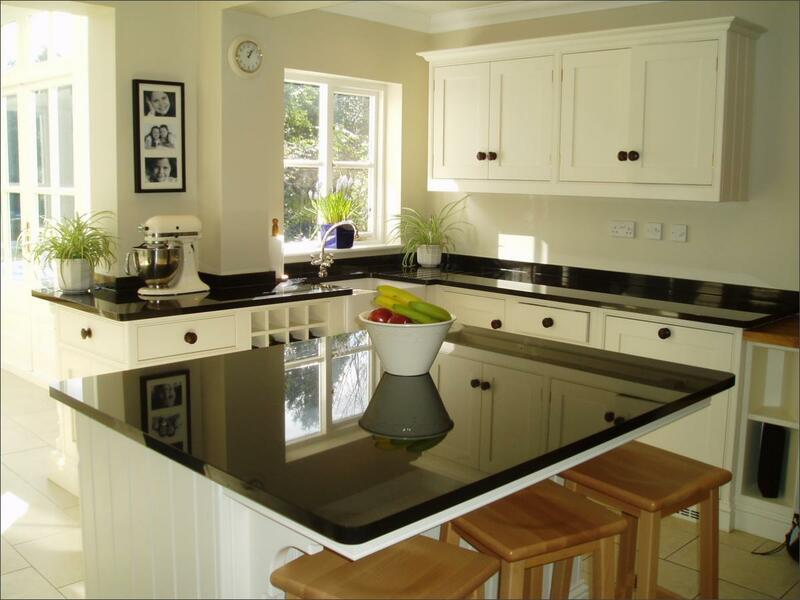 At AG&M, we provide affordable and high-quality granite and quartz work surfaces throughout the UK. Visit our website to find out more or get in touch with our friendly team of experts today.